No parking spaces to be found. Long lines at checkout. Rush shipping. While most of the city is abuzz with last-minute holiday preparations, Lee Berger and Mike Heavener of Tulsa Spine & Specialty Hospital aren’t worried about what’s left to cross off their shopping lists. 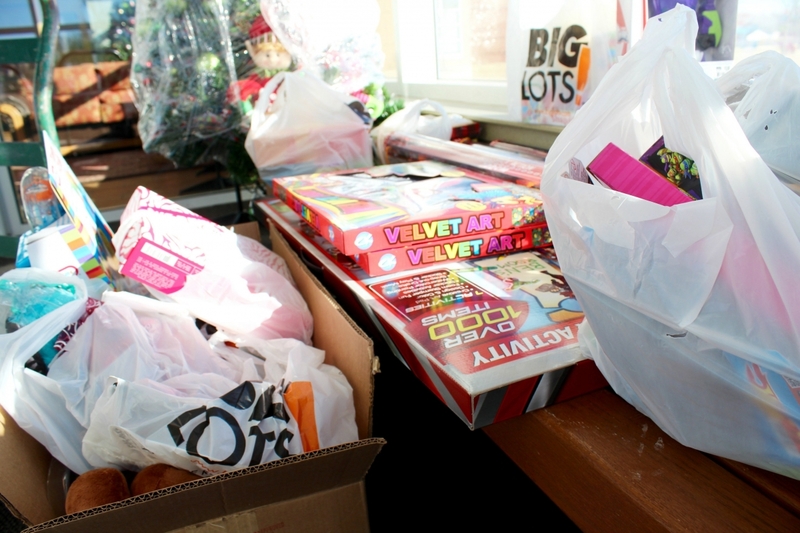 Their vehicles, loaded with six carefully decorated trees and dozens of gifts, are urban sleighs that will arrive just in time for Christmas at the Laura Dester Shelter for children who may not have anyone shopping for them this holiday. “It’s nice to know we are looking out for these children,” Lee adds of the hospital-wide donation. What started as a competition between departments each year to decorate the most creative Christmas tree, became something more as Lee thought about the children at the shelter. Wouldn’t they love to see these trees, he thought. “The hospital donates the tree and a budget for each department,” he explains. “The departments use that money to decorate the trees and buy gifts. There is always a theme. One year there was a Christmas tree with gift cards to go shopping and a Reasor’s prepared Christmas dinner.” The staff gives extra thought and attention to the themes and decorations they think the children would enjoy. This will be their first official family Christmas together, as the adoptions were finalized in March. “My kids are so generous,” Lee says of their involvement with the donated trees and gifts. “They help wrap presents and know that this is a way to give back.” Perhaps the generosity of both Lee’s children and the hospital doctors, nurses and staff will bring the Christmas spirit alive for dozens of children who will find something special under the tree – just for them. 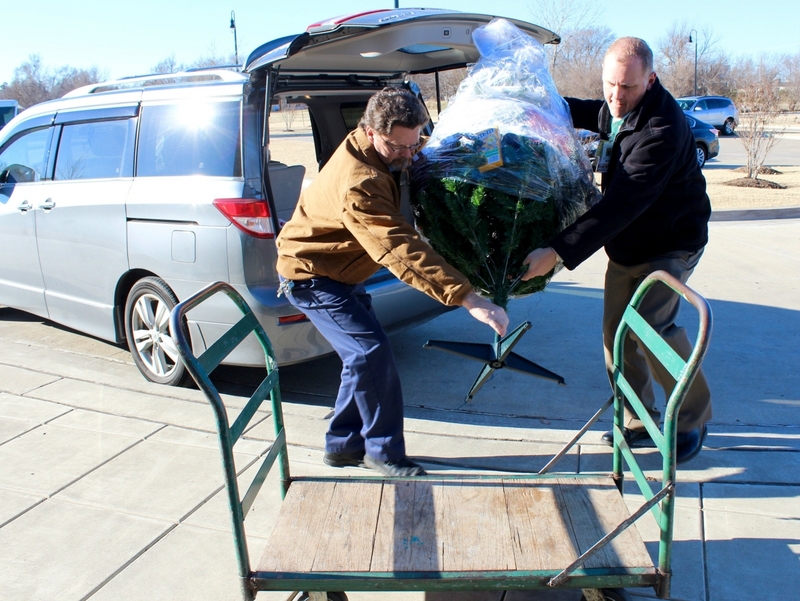 Tulsa Spine & Specialty provided 15 decorated trees to area non-profits this holiday season, its 14th year of donating trees to brighten the season for others.